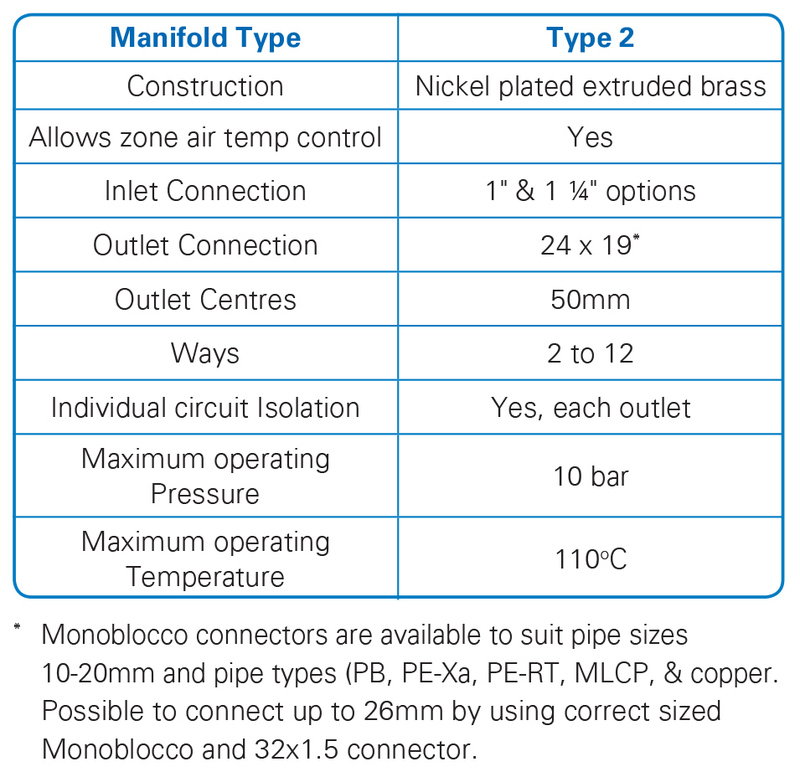 Type 2 Topway manifolds can be used for both Under Floor Heating and Wall Hung Radiator heating applications as a pre-assembled option or as single bars. The flow bar on the Type 2 Topway LS has an integrated red capped double regulating lockshield per circuit. The lockshield valve can be upgraded to incorporate a flowmeter with flowmeter kit 01306306 (0 – 4l/min). 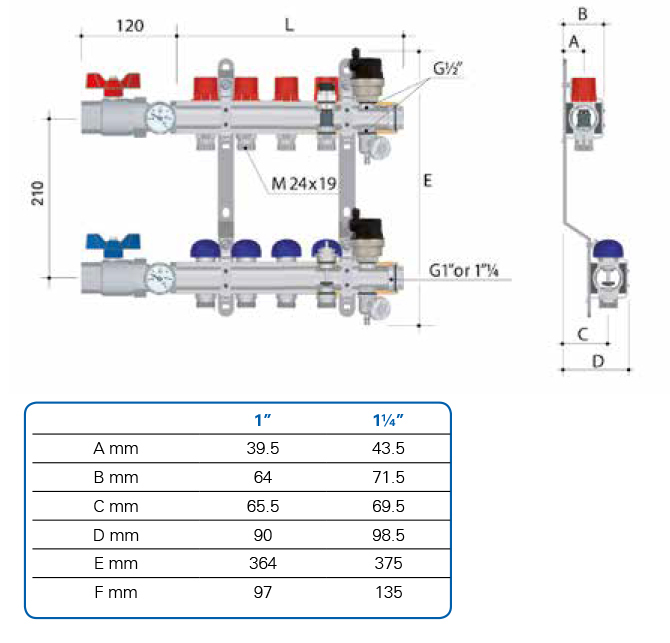 The integrated electrothermic valves on the return bar allow for electrical control of each circuit with electrothermic actuators wired to room thermostats.